The Mutant Underground wrestles with the idea of recruiting the Inner Circle to assist them. Andy considers reconnecting with his family when he learns about his father’s powers, but Lauren may not be as willing to have him back as their parents. Find out if the Mutant Underground and Inner Circle will be able to put their differences aside in order to save John from the Purifiers. Air Date: Tuesday, Jan. 1 (9:00-10:00 PM ET/PT) on FOX. 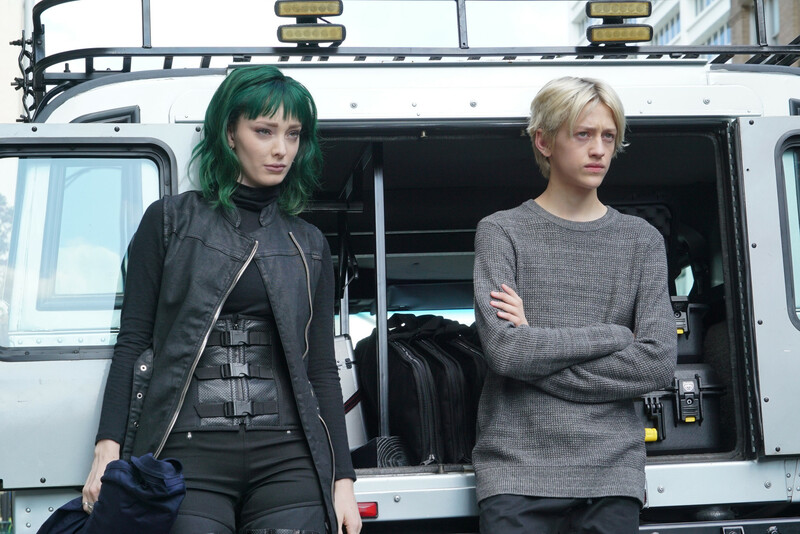 THE GIFTED: L-R: Emma Dumont and Percy Hynes White in the "eneMy of My eneMy" winter premiere episode of THE GIFTED airing Tuesday, Jan. 1 (9:00-10:00 PM ET/PT) on FOX. ©2018 Fox Broadcasting Co. Cr: Annette Brown/FOX.